if you want your hair to be as healthy as it could possibly be AND have chemicals in your hair maybe you should at least consider giving it a try. Do the reasons above make you second guess getting your touch ups every six weeks? They should! I hear so many women asking how they can get their hair to grow and how can they get their hair to be healthy. A lot of you think that the only way your hair can truly be healthy is by ditching the relaxers altogether. Well I'm here to tell you that relaxed hair and healthy hair CAN coexist! 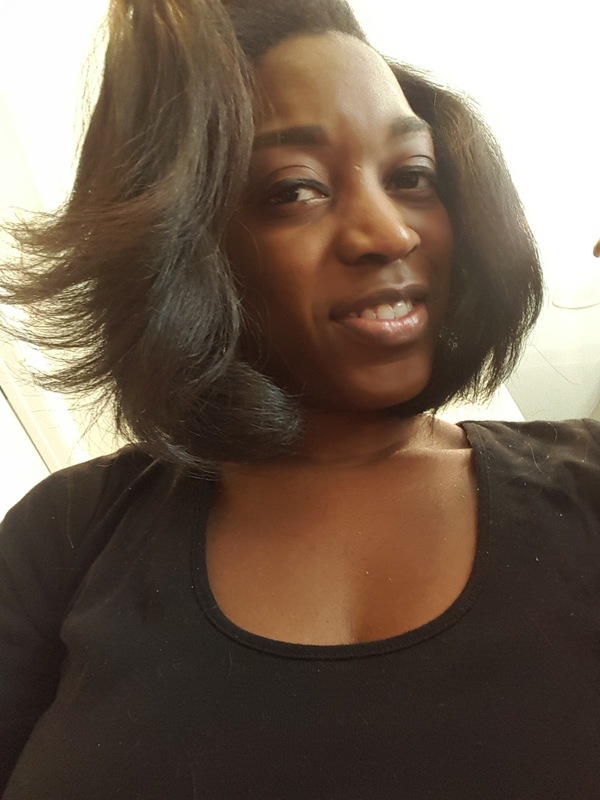 You can have LONG, THICK, HEALTHY, relaxed hair! It's all how you take care of it. STOP DOING YOUR OWN RELAXERS!! Let a professional hairstylist do this for you. 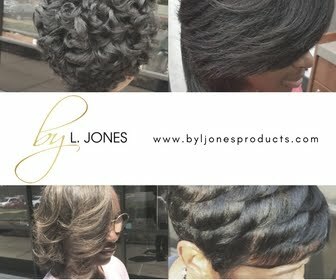 Be sure to choose a professional who specializes in health hair care. 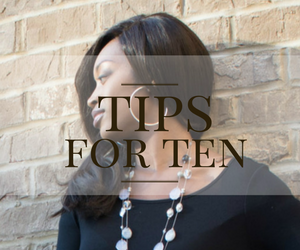 Stop getting your touch ups every six weeks unless you have two inches of new growth within that time. Pick which chemical you would rather have, relaxer OR color, not both. Let's take a look at the last statement listed above. 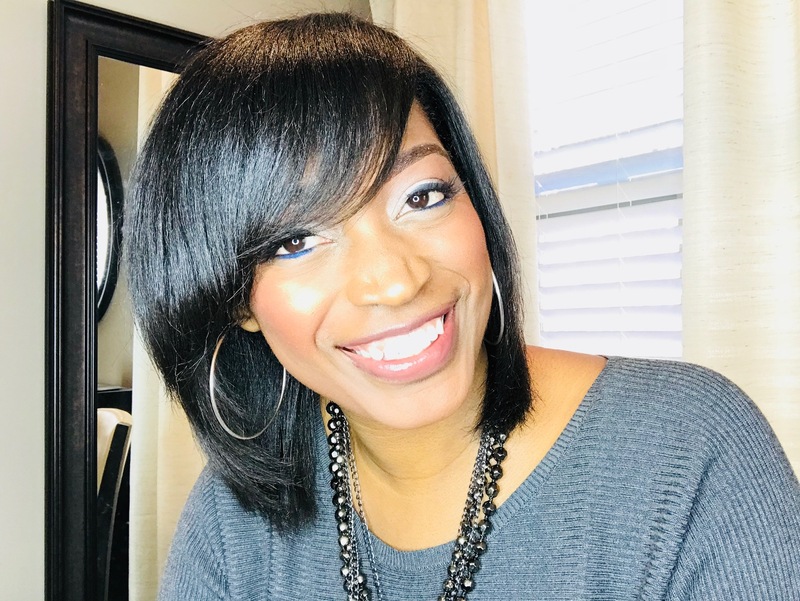 I suggest picking relaxer or color and not getting both because I have seen first hand that most women will not do what is required to maintain having both of these chemicals in the hair. That is why lots of women say, "Color breaks my hair." It's not the color that's causing your hair to break, it's the fact that the hair is not being properly cared for while the color is in the hair. Same thing applies to relaxers, the relaxer isn't causing the hair to break and become damaged, your hair just isn't receiving the proper care. If you plan on having both of these chemicals, you should also plan to see your stylist every one to two weeks. 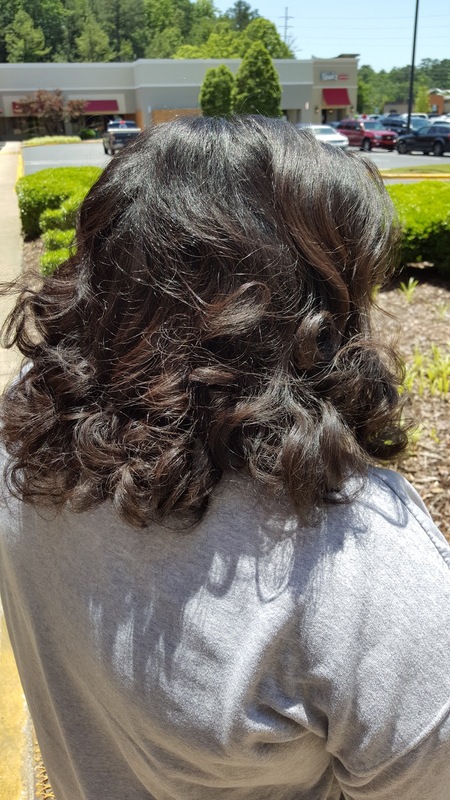 I've had a relaxer for a very, very long time and I have never experienced breakage, damage, or anything similar due to the relaxer. I get my touch ups every six months (or twice per year), and by that time, I have well over two inches of new growth. And despite the fact that I'm a professional stylist, I do not do my own relaxers. My hair is very healthy, and I plan on keeping it that way. I've had color in the past and it didn't break my hair, but after having kids I'm just too lazy to do all the maintenance required to upkeep color and relaxer right now. Both of these chemicals take a lot out of the hair, which is why doing them correctly is vital to the healthiness of your hair. 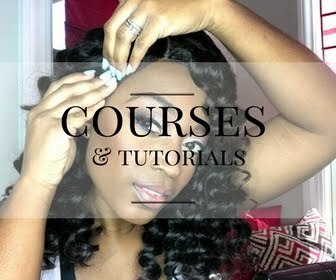 So now that you have been informed of how to have healthy AND relaxed hair, are you ready to start your journey?? I know everyone reading this can do it! The word "can't" should not be in your vocabulary.. So let's get started. Ready, set, go!! I used to be one of those ladies that were in the salon chair every 4 weeks. 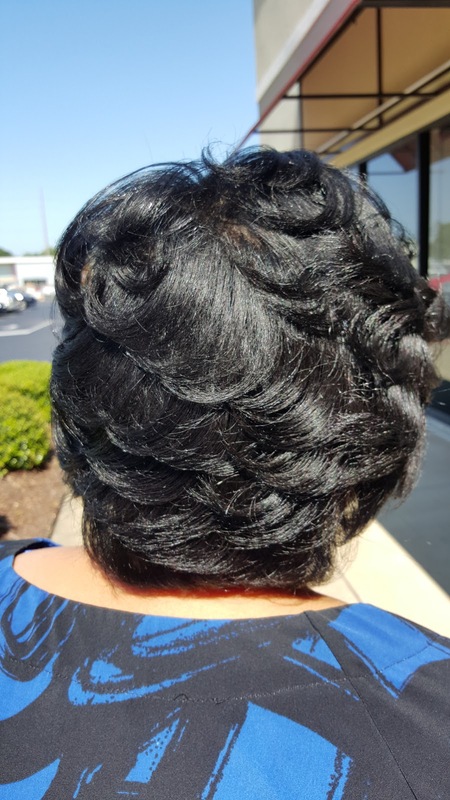 At the first hint of a wave I was getting relaxed and would get mad if I couldn't get my hair done when it was relaxer time. Now I go 15/16 weeks between relaxers and wonder what in the world I was thinking back then. I barely had new growth at 4 weeks. SMH Glad I know better now. Wow Candace, 15-16 weeks is impressive! You rock! After reading your awesome post, I will definitely give this a try and hold out for another 3 months. I'm a 12 yer old girl with just below shoulder length with seriously thick hair, and I'm a relaxed . I relax every 3 months or 3 months + 1 week. But I hardly ever see new growth, should I strech longer or is it okay. This was a wonderful article. I have recently 1 month ago returned to relaxed hair after 4 years natural. 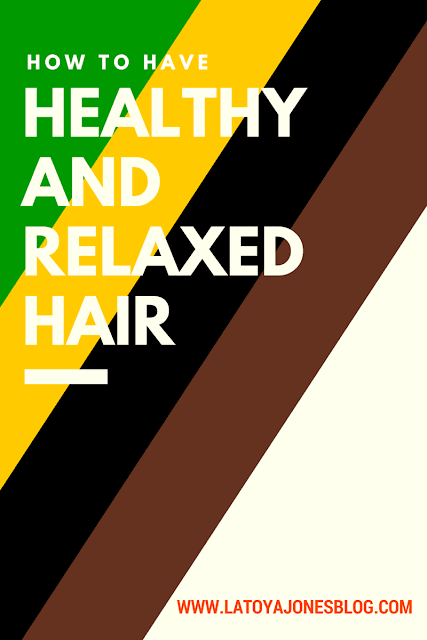 I have done research on keeping my hair healthy while being relaxed. I had already planned to wait at least 4 months before my retouch. This article makes me know for sure 4 month or 16 weeks for healthy hair. THANK YOU SO MUCH!